Best part: The sumptuous visuals. Worst part: The lack of depth. 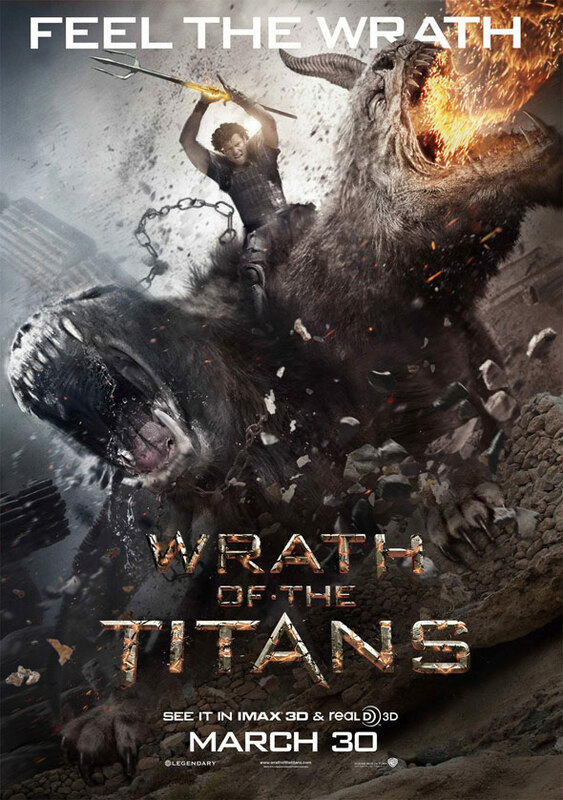 Illustrating a world of grotesque monsters, bearded gods and vivid desert landscapes, Wrath of the Titans, despite conveying many problems from the lacklustre 2010 original, emphasises and exaggerates its mythological action-adventure appeal; creating a fun, special effect fuelled popcorn feature aimed primarily at fathers and sons, but not carved into the stone of memorable Hollywood spectacle. This enjoyable romp through fantasised Greek mythology cleverly begins its journey with re-telling the brave events of fisherman turned demi-god Perseus (Sam Worthington) in the first adventure. We revisit him in a small village, fishing with his young son and teaching the ways of honest living. But war between the gods almost immediately disrupts the peace Perseus created as titans and traitors threaten the existence of mankind. With Zeus in great peril and murmurs of the titan’s release, its up to Perseus, spirited warrior queen Andromeda (Rosamund Pike) and the son of Poseidon, Agenor (Toby Kebbell), to reach the underworld and destroy the minions and masters of hell once and for all. 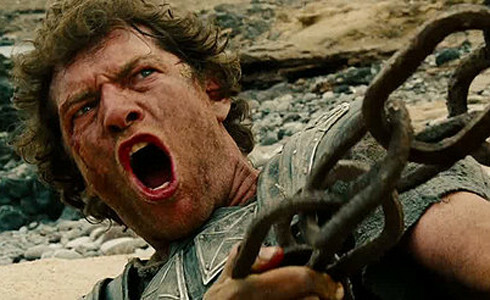 Wrath of the Titans lives up to its name by delivering exactly what it promises. There’s Wrath, and there’s Titans. The film’s simplicity leaves room to showcase one cracking action sequence after another. Director Jonathan Liebesman (Battle: Los Angeles) Turns what could easily be video game-like hack and slash monster mashes into breath taking set pieces, each one excitingly increasing in quality. The fast pacing aids the brisk yet captivating action set pieces while the threats of annihilation by monsters, gods and the almighty Kronos build to a thrilling and climactic final third. With shaky cam and quick cuts plaguing the original, the sequel defies all expectations in its most appealing elements by showcasing immersive tracking and panning shots, fluid choreography, beautiful CGI effects and sharp sound editing. The maze sequence is filmed and designed with the ingenuity and epic scope of a labyrinth inside the mind of Christopher Nolan. Unlike the disappointing misuse of the monsters in the original, the raw, wriggling and disgusting creations in this film create one startlingly imposing threat after another. They range from slobbering minotaurs, to blood stained siamese twin warriors called Makhai, to Cyclops’s looking remarkably like British soccer hooligans. Much like the original, its over dependence on action set pieces leaves much to be desired with the script and story telling. “We may not be gods. But we do what people say can’t be done, we hope when there isn’t any… whatever odds we face, we prevail.” (Andromeda (Rosamund Pike), Wrath of the Titans). Rosamund Pike & Bill Nighy. With a story solely based on following the characters struggle against every monster in the Greek isles, it falls flat on its face as its hollow interior leaves nothing but a straightforward quest for our gaggle of misfit characters. Plot twists based on the bonds between fathers, sons and brothers become increasingly confusing as this theme is just one of many opportunities sorely wasted by a conventional screenplay. One and two dimensional characterisations and stilted dialogue also harm proceedings as Wrath of the Titans noticeably lacks a necessary emotional connection. The cast does an adequate job with the little they’re given. Worthington drastically improves on his dull performance in the original through a charismatic yet stoic portrayal of this fabled yet modest hero, while surprisingly convincing in his comedic moments. Kebbell as the wise-cracking thief and demigod Agenor lifts the tone slightly with clever one liners. Pike as the love interest seldom gets enough screen time to make her normally gorgeous presence known. While older actors such as Liam Neeson, Ralph Fiennes, Danny Huston and Bill Nighy are captivating yet suffer due to lacking screen time, unclear character motivation or diminutive story involvement. Fiennes and Neeson deliver great chemistry between each other; creating a believable relationship as brothers. 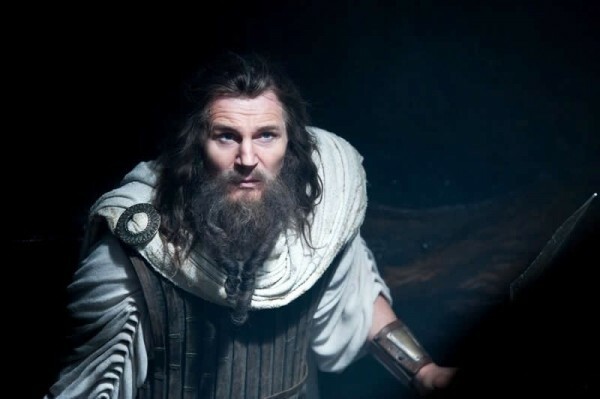 Banking on the success of Worthington and Liebesman, Wrath of the Titans is obviously a made-by-focus-group action flick. Being a sequel to one of the biggest flops of 2010, the movie barely scrapes by on pure adrenaline and brute force. Verdict: A shallow yet entertaining action-adventure sequel. ← The Hunger Games Review – On Fire!